Dehydrating foods is one of the oldest and easiest techniques in food preservation. This process preserves some of the nutrients present in fruits and vegetables. Since avocado is a high-fat fruit, a lot of people think that dehydrating avocado is not possible. But it is actually possible to dehydrate avocado; you just need to know the right tricks to do it. To dehydrate avocado, you can use these different methods. Using the heat of the sun to dehydrate avocado is the most nature friendly from all methods. The ultraviolet rays of the sun inhibit the growth of microorganisms in foods. Sun drying requires an outside temperature of 80°F -90°F. Do not sun dry when the weather is cloudy or humid. 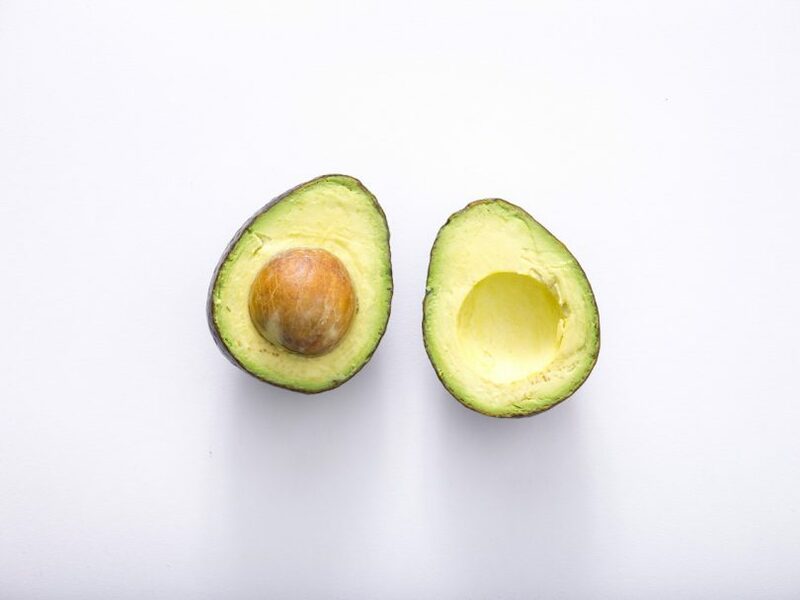 Choose a good-quality avocado fruit; make sure it is ripe. Wash the fruit under running water, then dry. Slice the fruit in half and scoop out the seed using a spoon. Peel the two halves and cut them into smaller pieces. To prevent oxidation, or darkening of the fruit after slicing, soak the slices into a bowl of lime juice. Arrange the slices on a drying tray. Make sure that the drying tray is clean. Provide a 6mm space between slices to allow the air to circulate. Cover the tray with a clean cloth or nylon netting to keep bugs and other insects away. Bring the tray outside. Place it in an open space with direct sunlight. Make sure that the temperature outside is 80°F – 90°F. Dry for 3-5 days. Turn the sliced fruits every 3 – 5 hours, and don’t forget to bring the tray inside at night or when it’s raining. Put the dried avocado slices in an airtight container and place it in a well-ventilated room. Freeze-drying is the process of dehydrating avocado using a freezing, or below freezing temperature. Freezing can be done using a vacuum or a freezer. Wash the avocado fruit and slice it in half. Using a spoon, take out the seed. Then remove the outer skin of the avocado. Cut the fruit into cubes. Soak them into a bowl of lime juice to prevent oxidation. Arrange the avocado cubes on the tray and cover it with a cheese cloth or nylon netting. Provide a 6mm space between slices to allow the air to circulate. Put the tray in the freezer. Let it stay there for 2-3 weeks. Get one cube and check if it’s dry. It should not change its color. Store the dried avocado cubes in vapor-proof freezer cartons or heavy-duty freezer bags. Then keep them in the freezer. Using a microwave is an easy and fast method of dehydrating avocado. Arrange them on the microwave plate. Make sure to provide space between the slices to allow the air to circulate. To ensure uniform dehydration, set the microwave oven to ‘defrost’. Microwave the avocado slices for 20-30 minutes. Keep an eye on the process!! Get one slice out and check if it’s crunchy. If not, microwave again for 10 minutes. Store them in an airtight container, and place the container in a cool and dry location. Dehydrating avocado in the oven is a slow process. Oven drying takes twice as long as dehydrating in a dehydrator. Arrange them on the oven tray. Make sure to provide space between the slices for better air circulation. Put the tray inside the oven. Use ‘keep warm’ setting or set the reading to 140°F. Prop the door open 3-5 inches to let the moisture escape. Store the dried slices in glass jars or airtight containers. Place the container in a cool, dry and well-ventilated area. Using a food dehydrator is the easiest method of dehydrating foods. This dehydrating method produces the best result, but you mus have a food dehydrator. Cut the fruit into thinner slices. Soak them into a bowl of lime juice to prevent oxidation. Set the dehydrator to 135°F-140°F, then dehydrate for 8-10 hours. Take one out and check if it’s brittle. If not, dehydrate again for two hours. Let the dehydrated avocado slices cool. Store the dried slices in an airtight container or glass jars with lids. Place the container in a dry, clean, and well-ventilated room. Reminder: The final product might taste bitter. It may also be a little greasy.